All on the most picturesque beach in Australia in our perfect 'Dry Season' conditions. 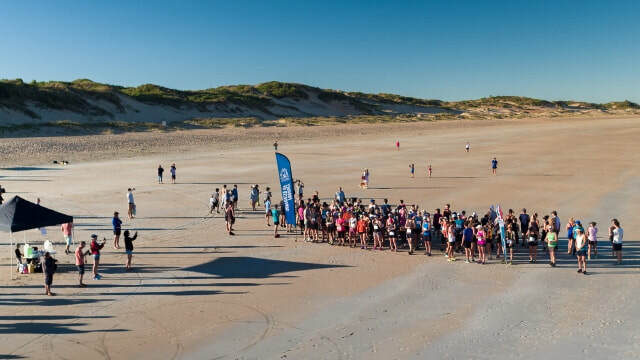 Competitors were in great spirits for the 2018 edition of The Broome International Airport Marathon, Half Marathon and Matso's Dash. Marathon runners started at first light, 6am, enjoying the cool start to the day. Conditions saw the winner, Clayton Mitchell of Karratha win in 3:12:32. Female winner of the Marathon was Kristy Blake of Derby. Local Physio, Simon Dean set a course record to win the Half Marathon in 1:26:47 with Matt Korten very close behind in second place. The women's Half Marathon was even closer with Katie Cartwright, fresh from her win two weeks ago in the Kununurra Half, just edging out Tara Rawosn for the victory. The Matso's Dash saw a new female record set by another local Physio, Liz Wicks, who won in 0:47:04. In the men's filed, 17 year old Luke Burrows set a fast time to win the Dash, who would have also set a course record if is not for Steve Moneghetti running the Dash as event ambassador in 2016. 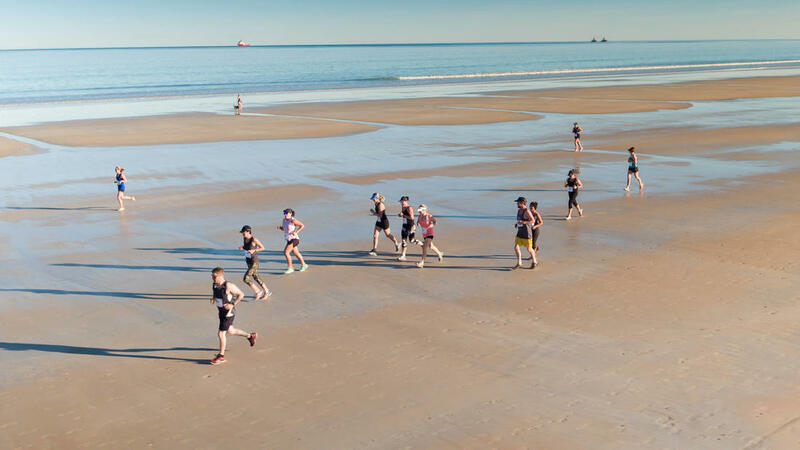 Competitors enjoyed the hard sand, low tides and blue skies with a record field taking part in 2018. All the volunteers, supporters and sponsors did an amazing job. All accolades must go to all those runners who finished today - congratulations!